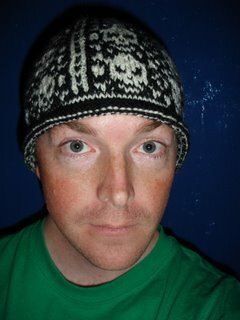 pseudobunny & co.: And I Finished the HAT OF DOOOOOOM!!!! And I Finished the HAT OF DOOOOOOM!!!! 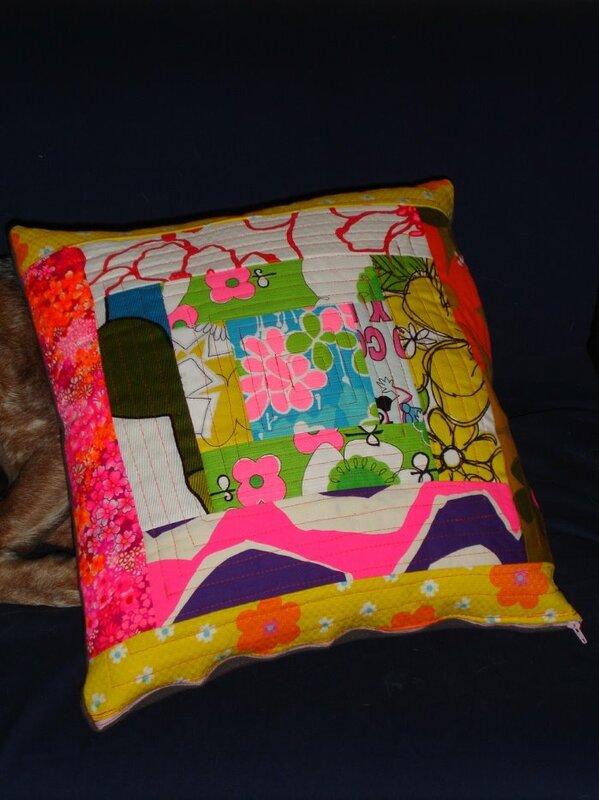 But her site is down right now....Anyhoo, I used scraps for quilts passed on to me by Matt and Rhoda from Miltons grandmother...Does that make her my greatgrandmother? Why yes it do!!! Thanks Great-Tutu!!!! I love your hat, you did really well on it. Gauge really stinks sometimes and maybe he will wear it anyway. Have you blocked it? That may stretch it out a bit. I so LOVE your pillow!! You really need Denyse Schmidt's Quilting book. A must have! 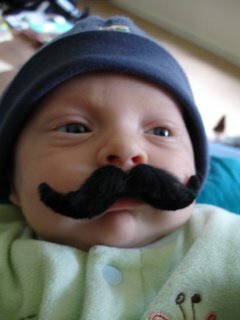 Saw you on Punk Rawk Purl, and I looooove the pic of Baby with Mustash! Hee hee hee! 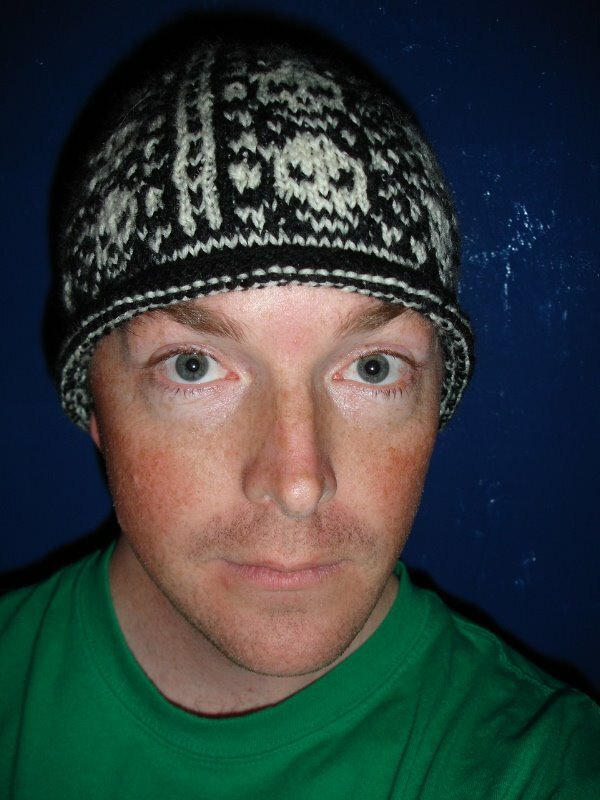 Nice hat too. I have wee ones that make it hard to knit too. Ah, the wee hours of the night is when I have my me time!